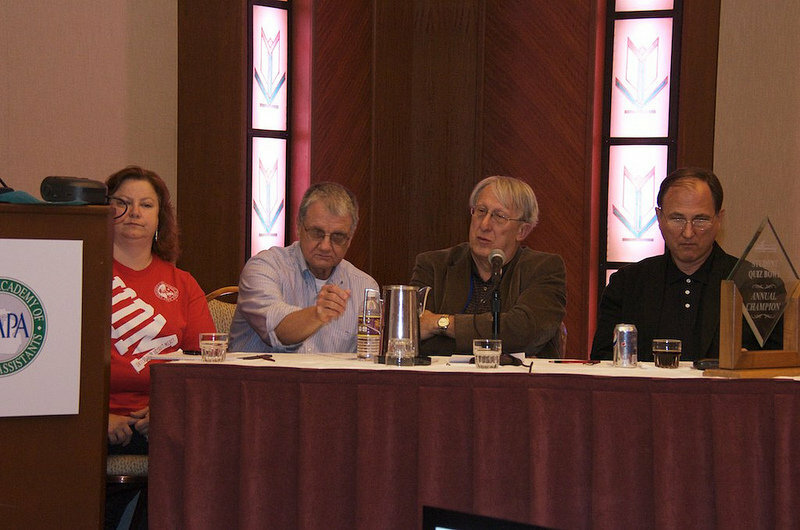 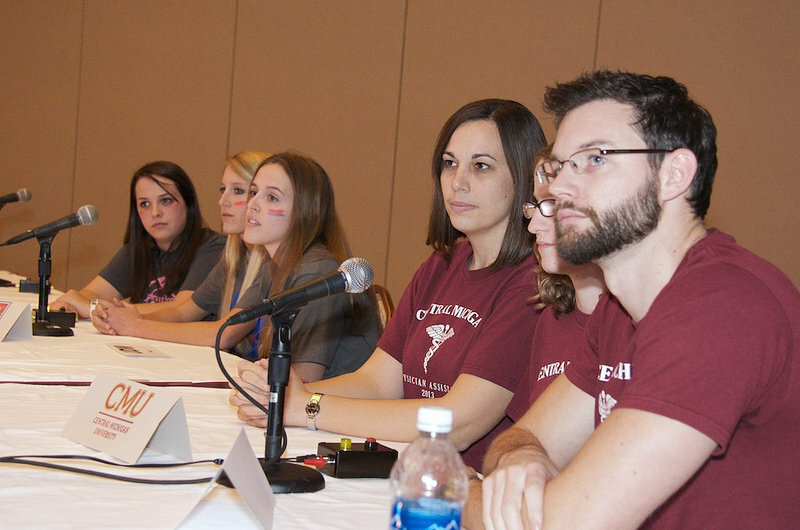 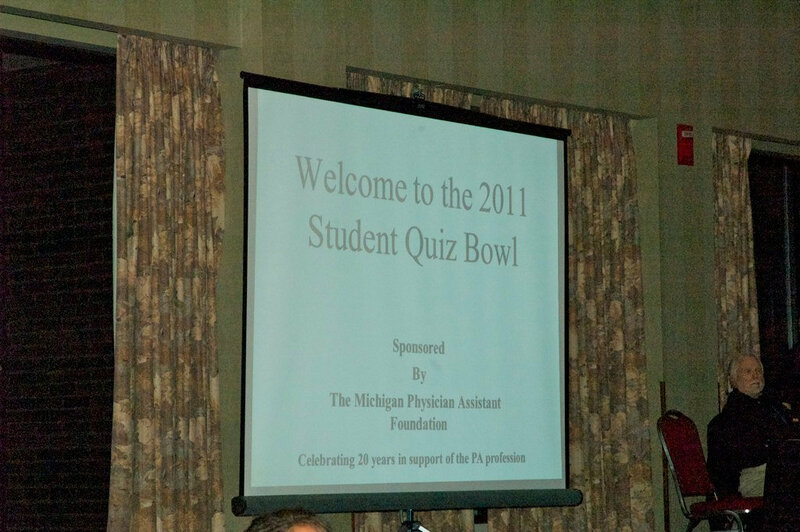 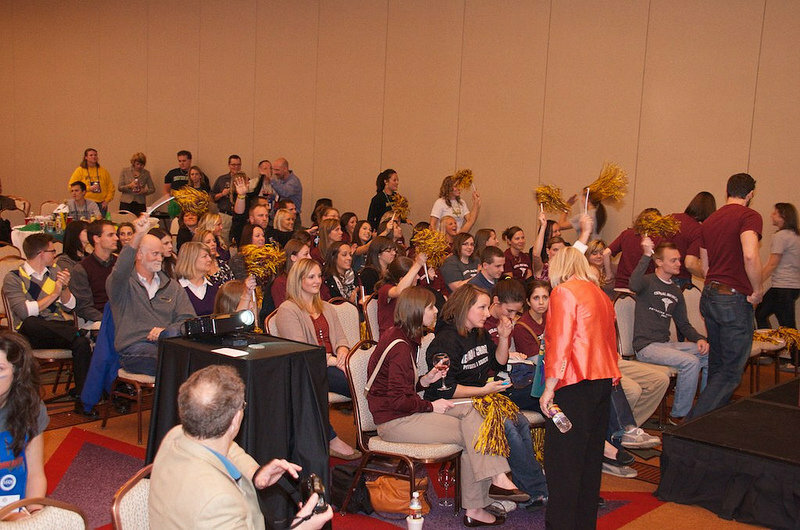 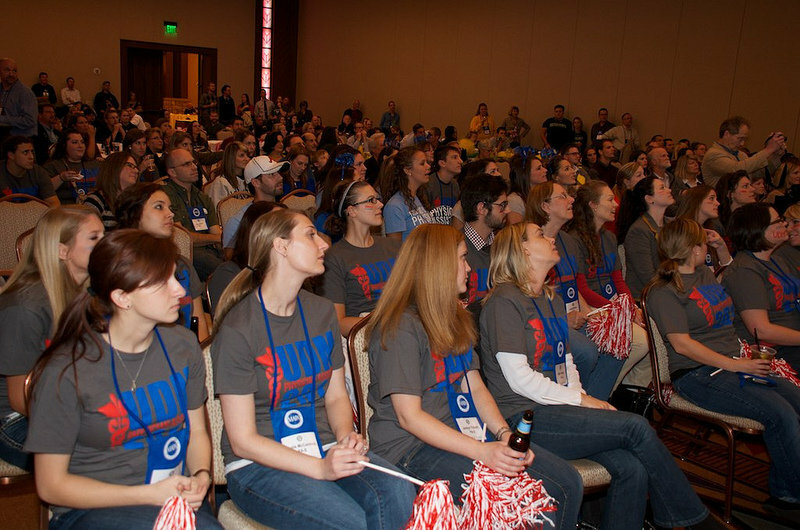 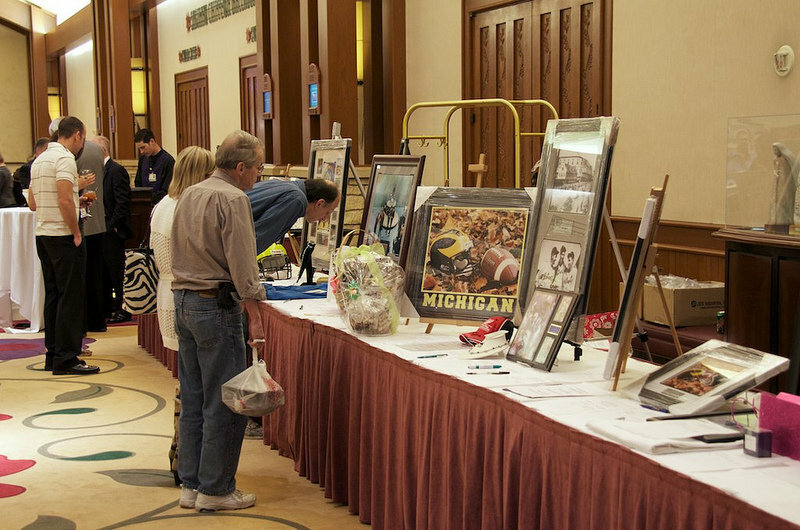 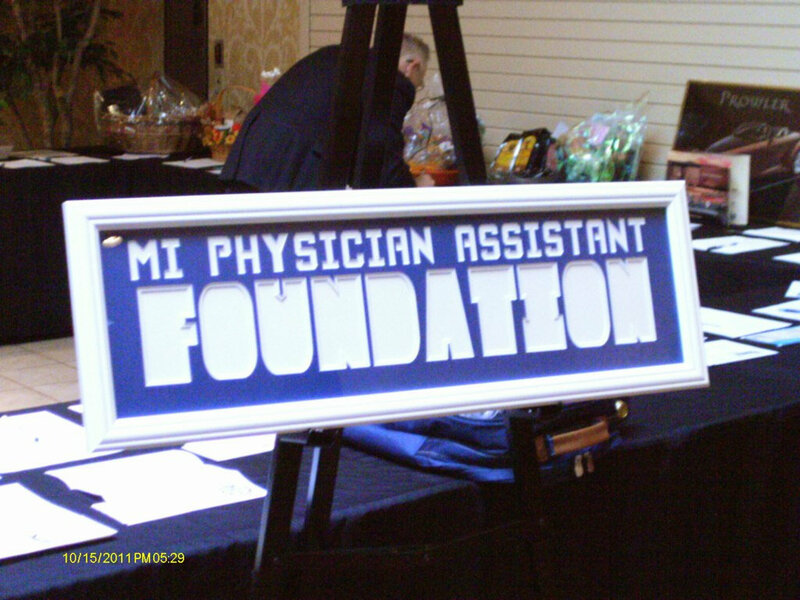 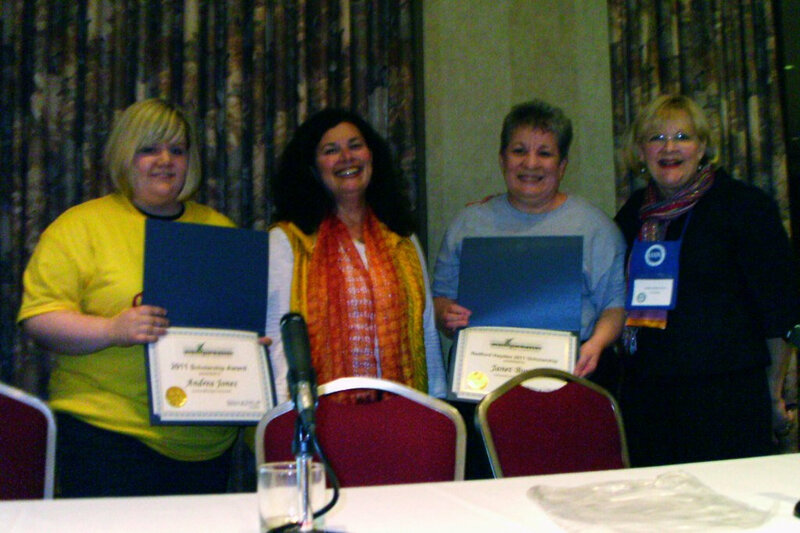 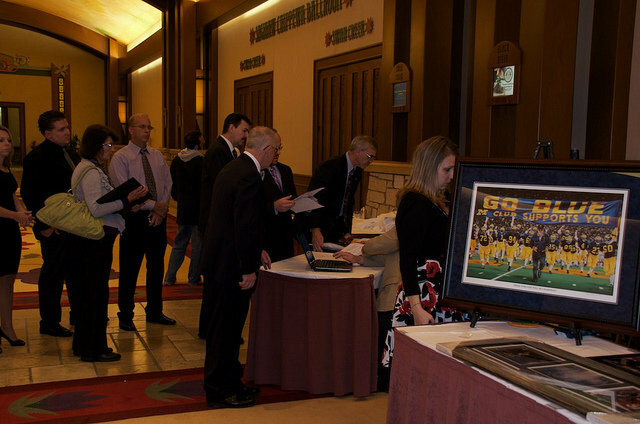 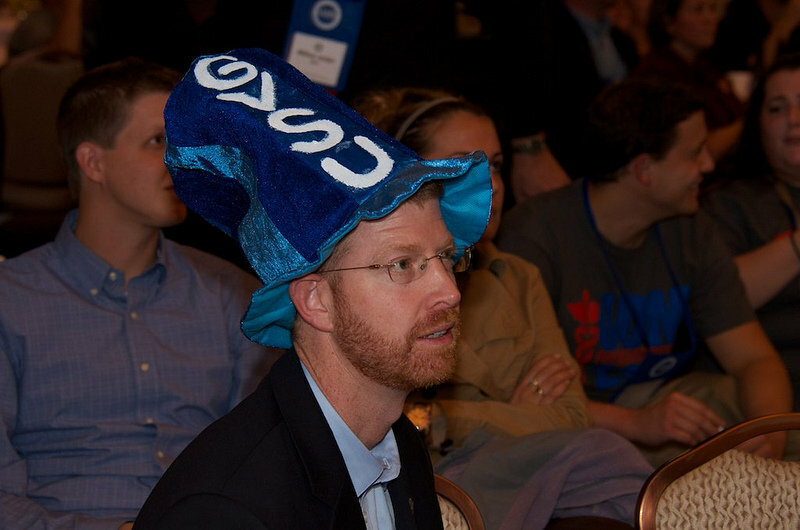 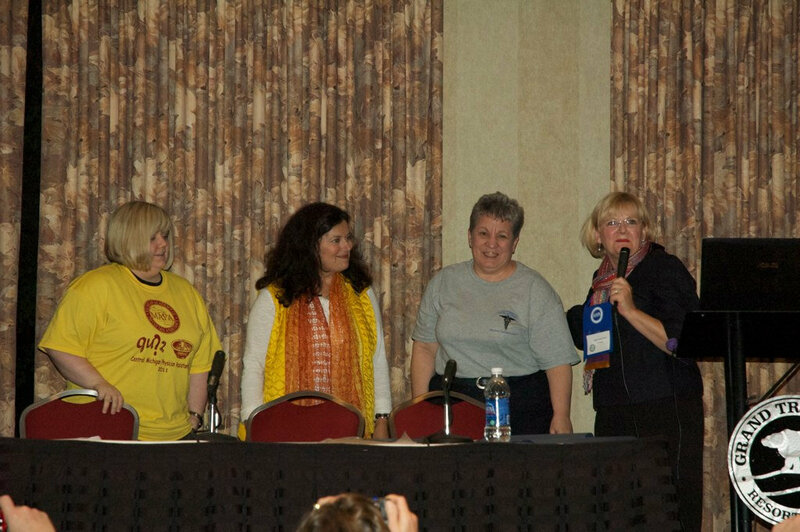 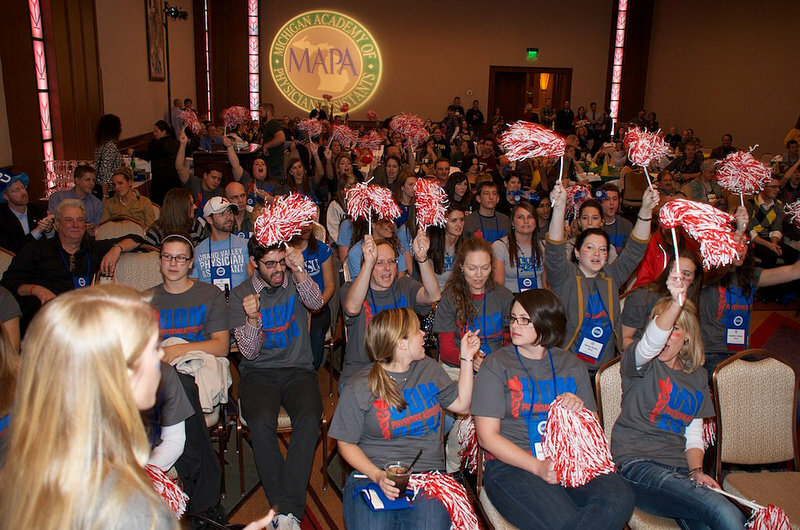 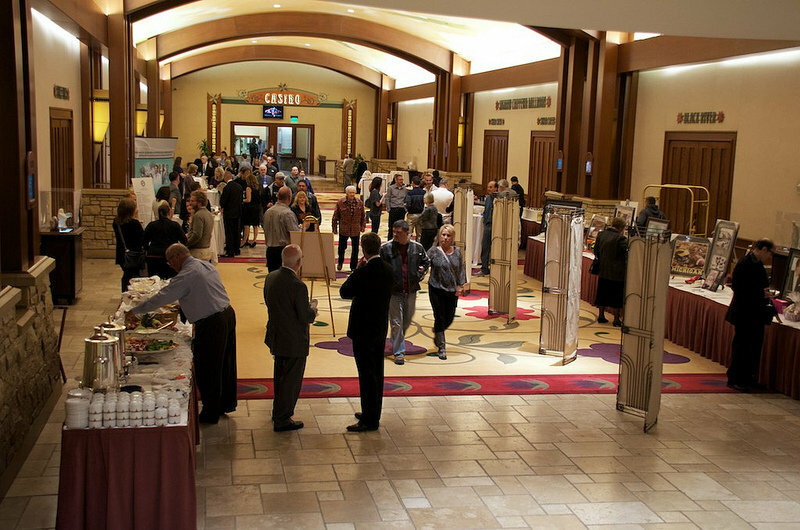 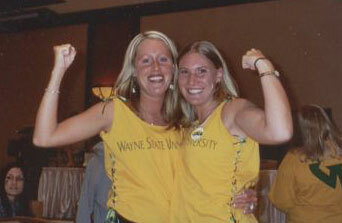 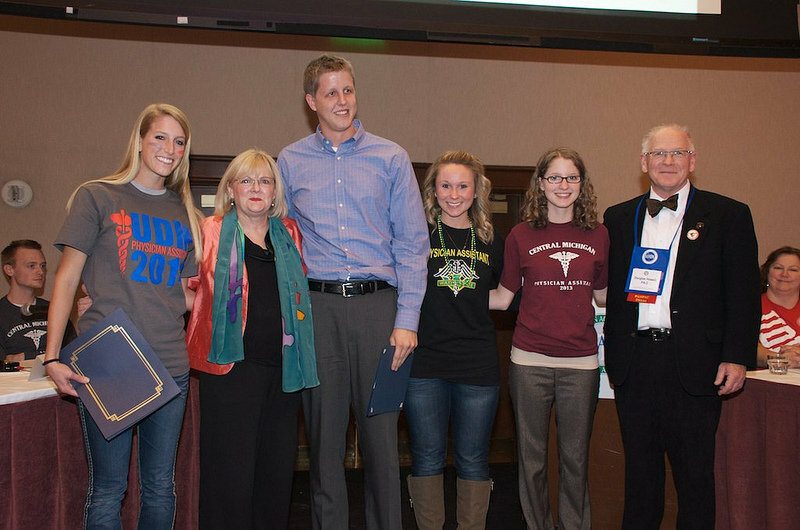 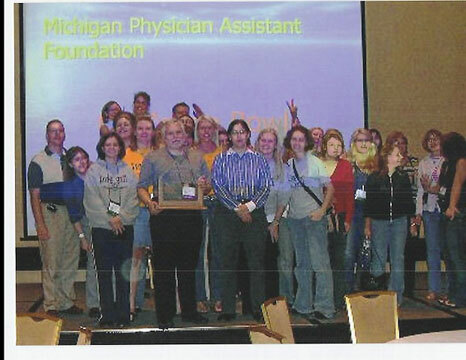 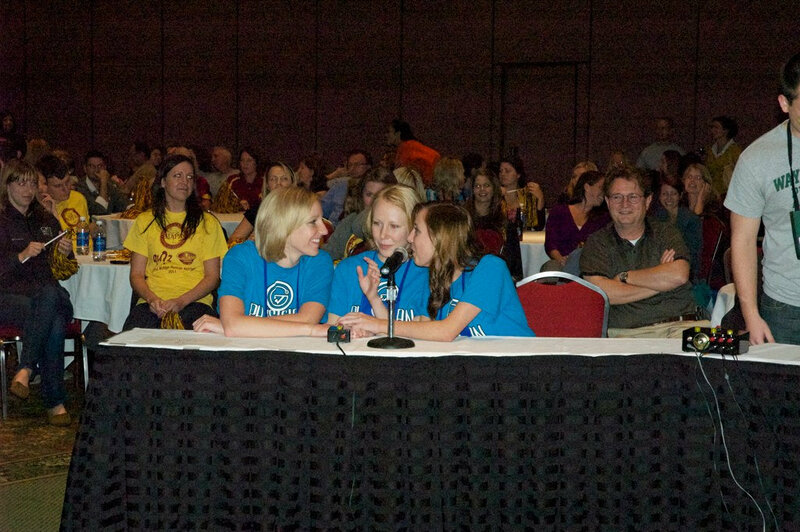 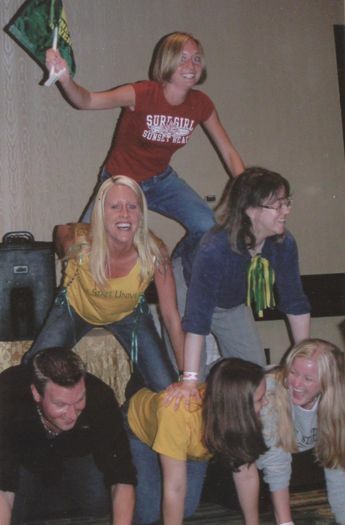 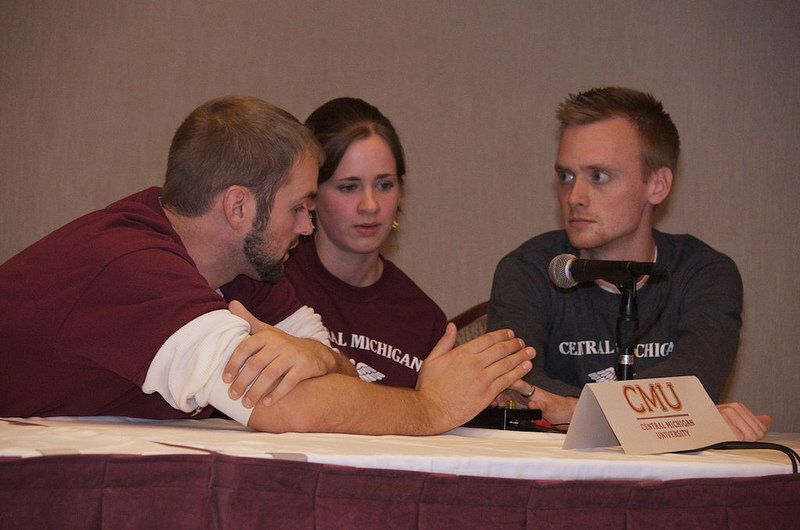 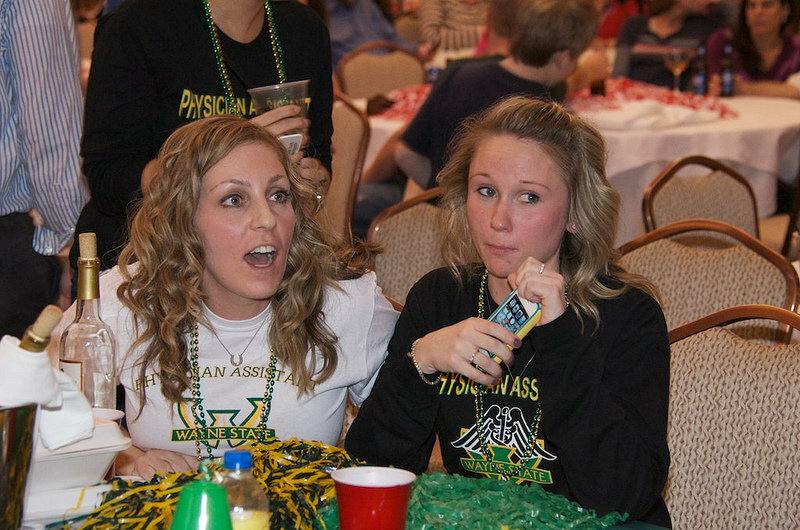 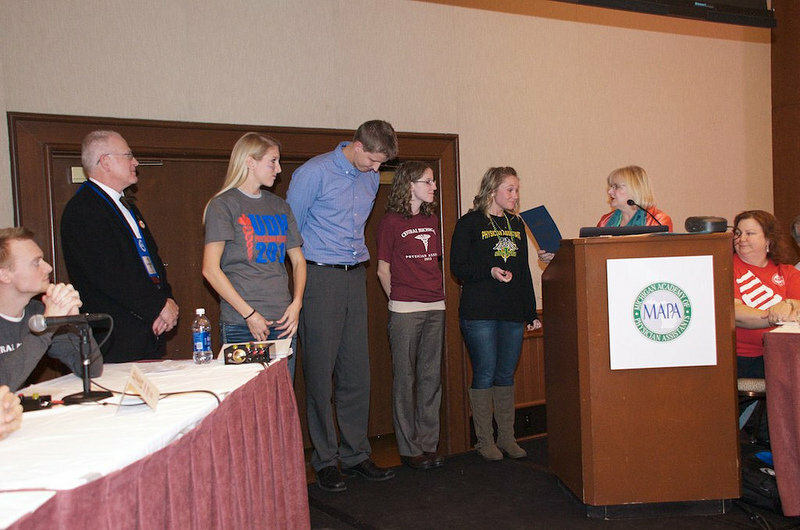 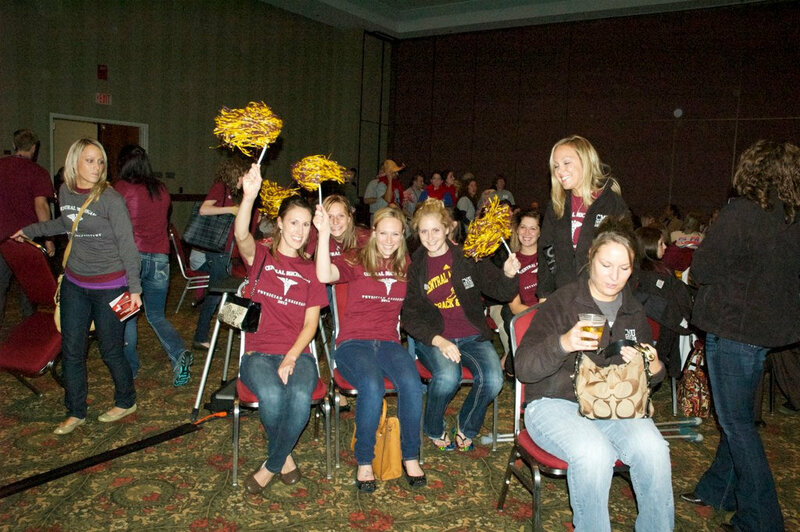 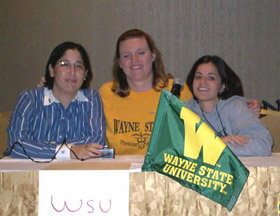 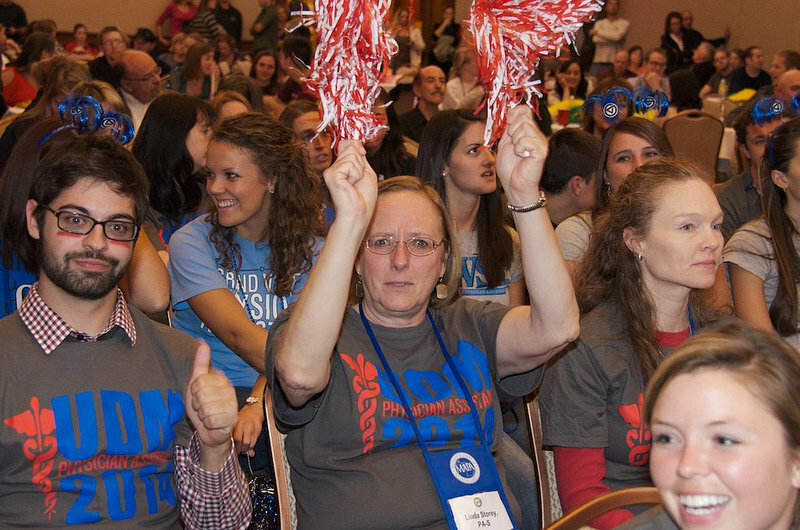 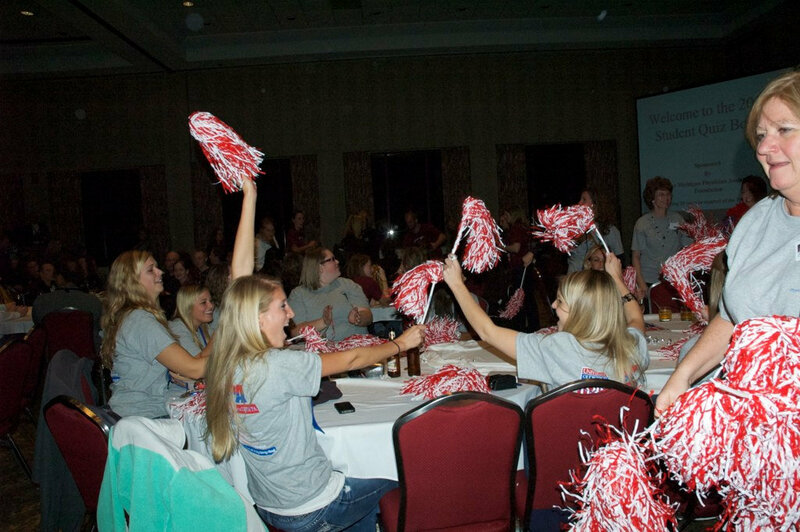 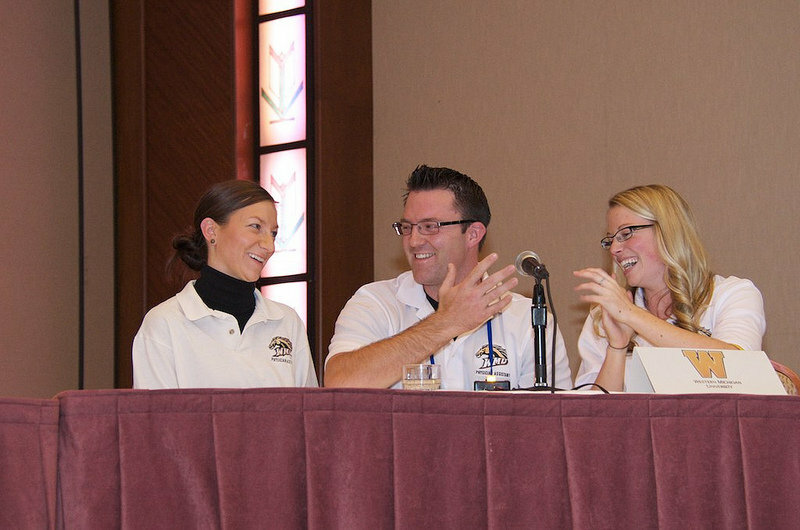 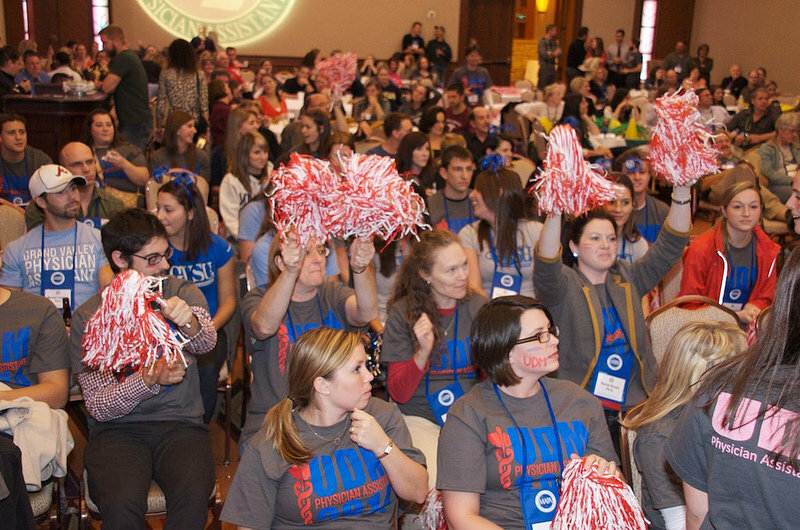 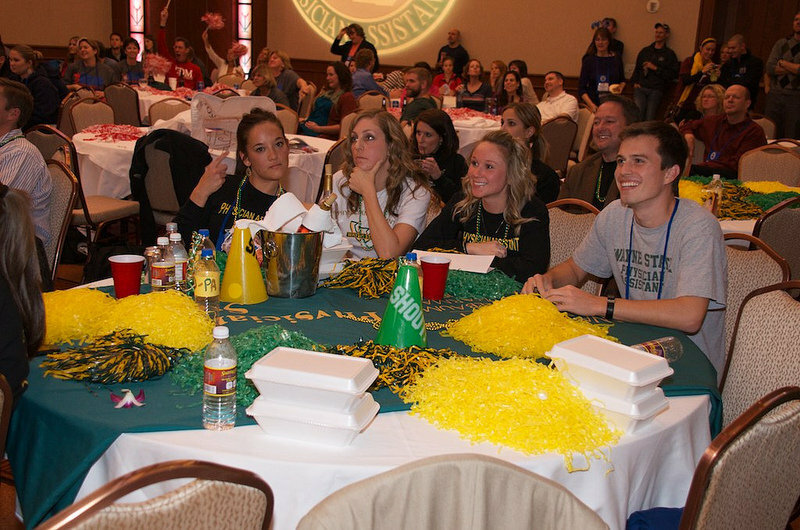 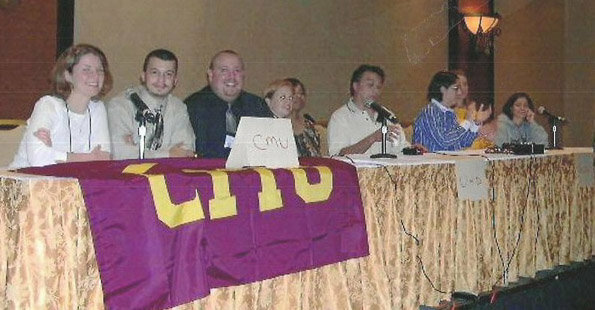 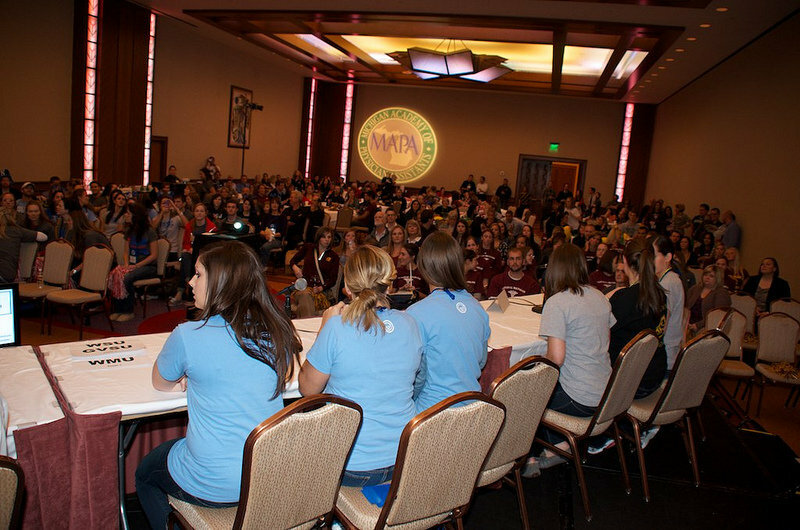 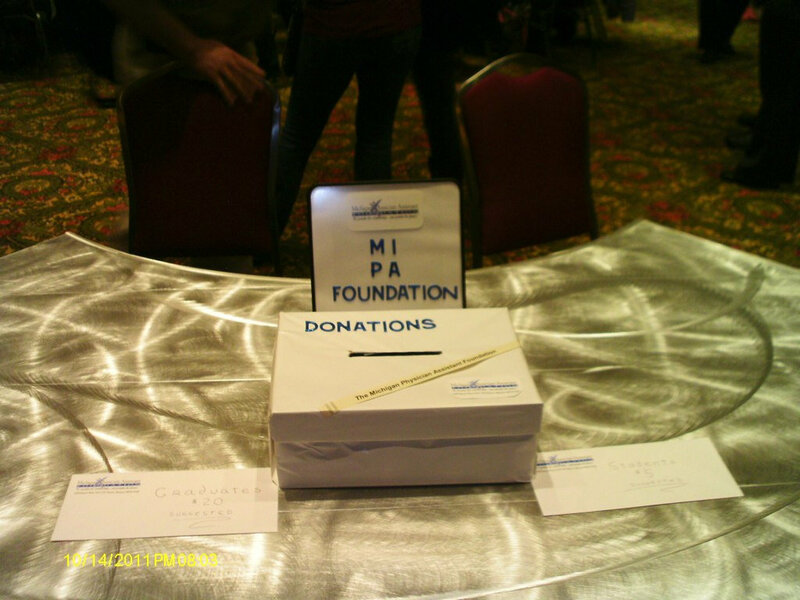 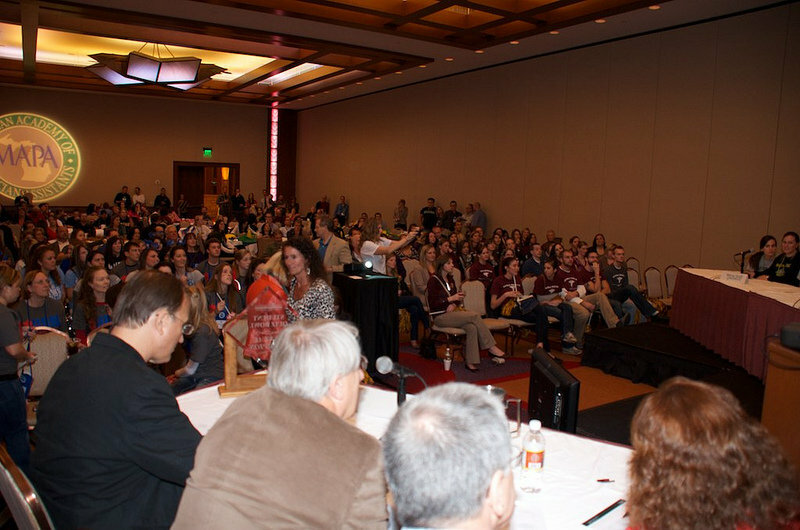 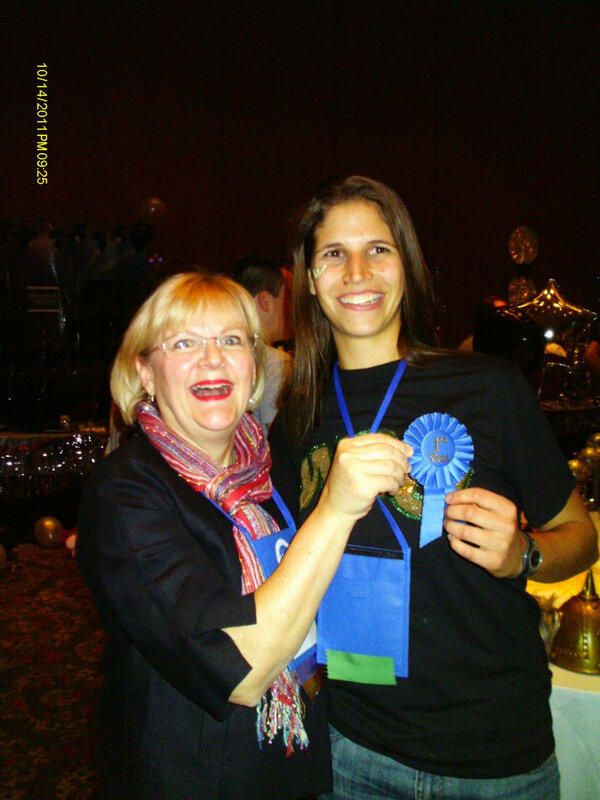 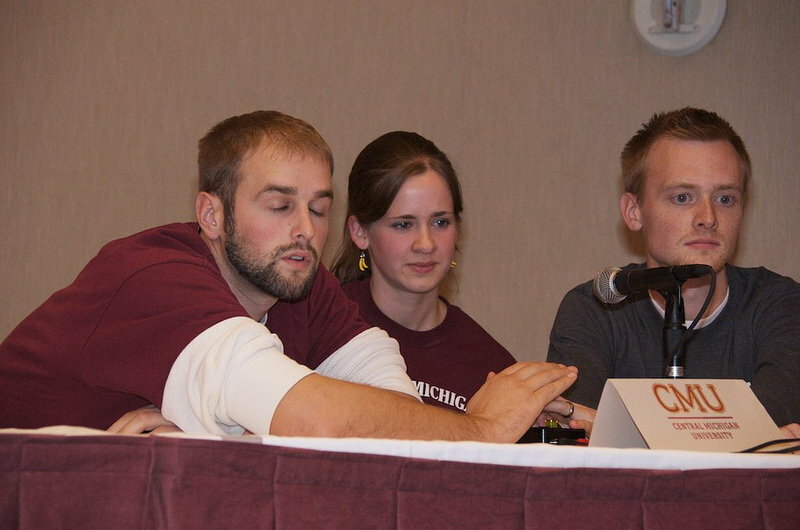 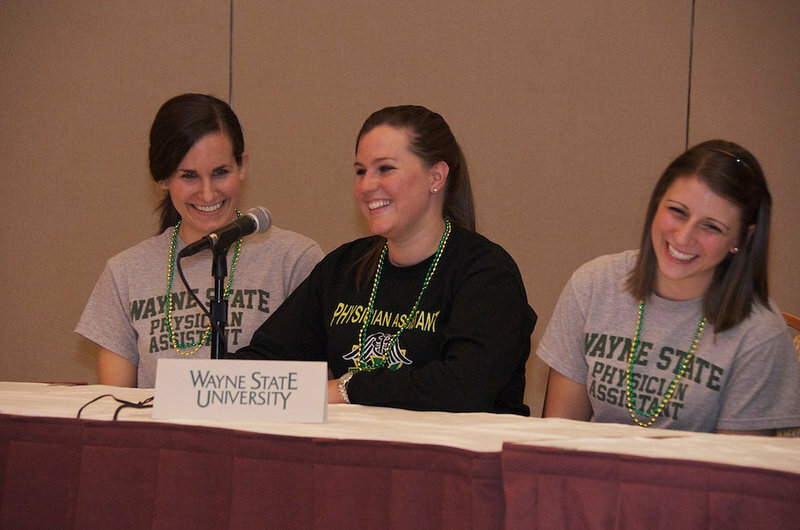 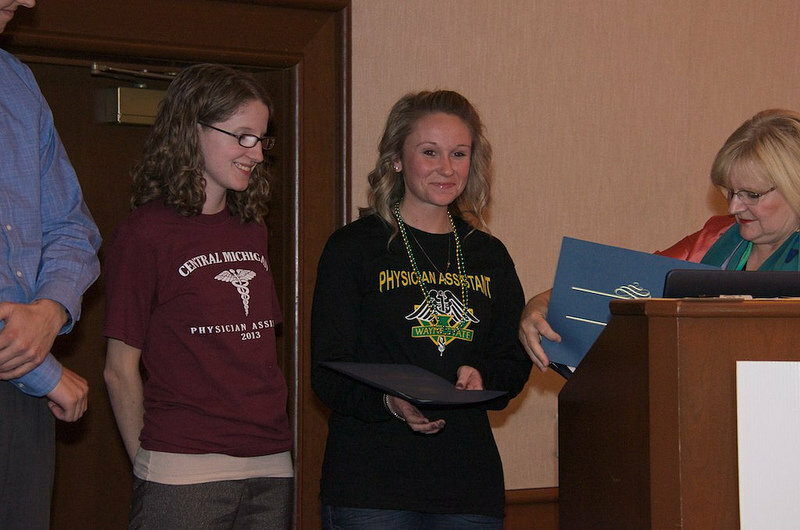 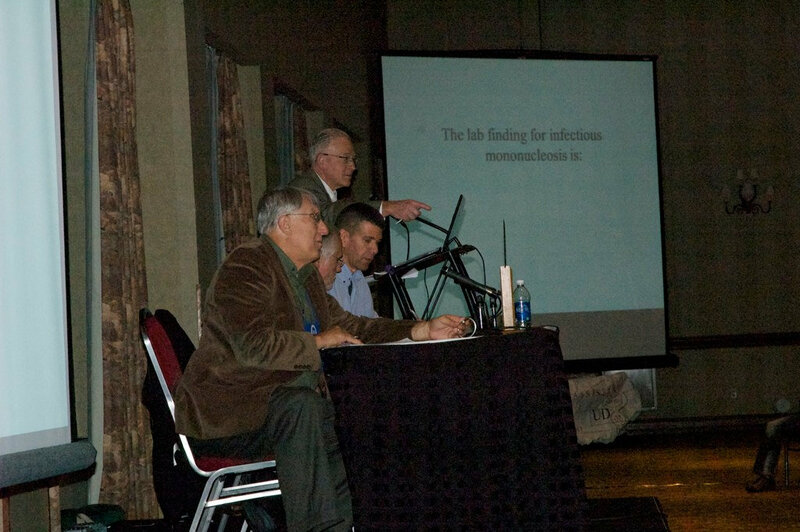 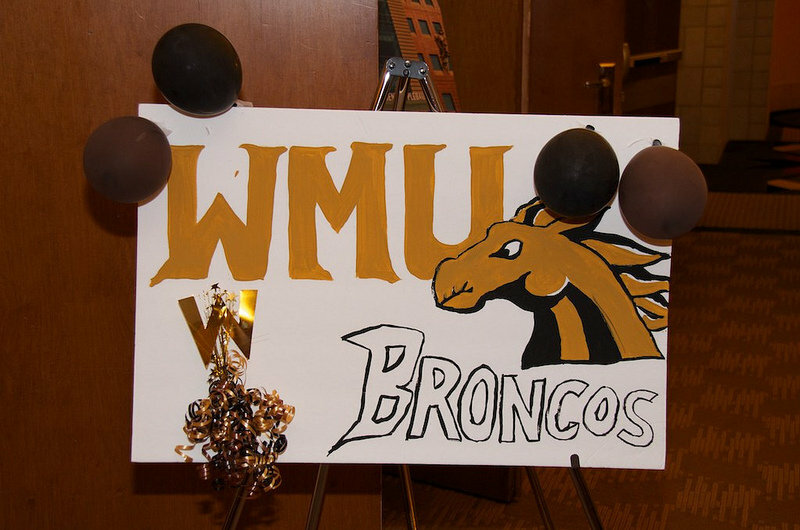 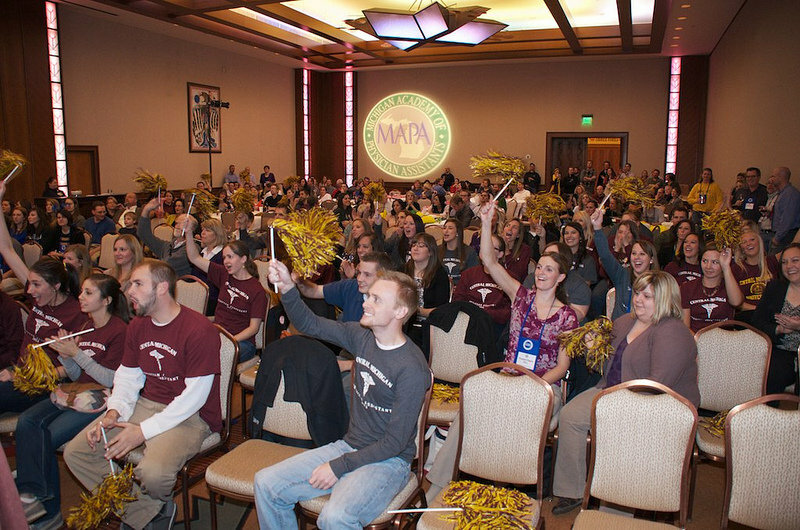 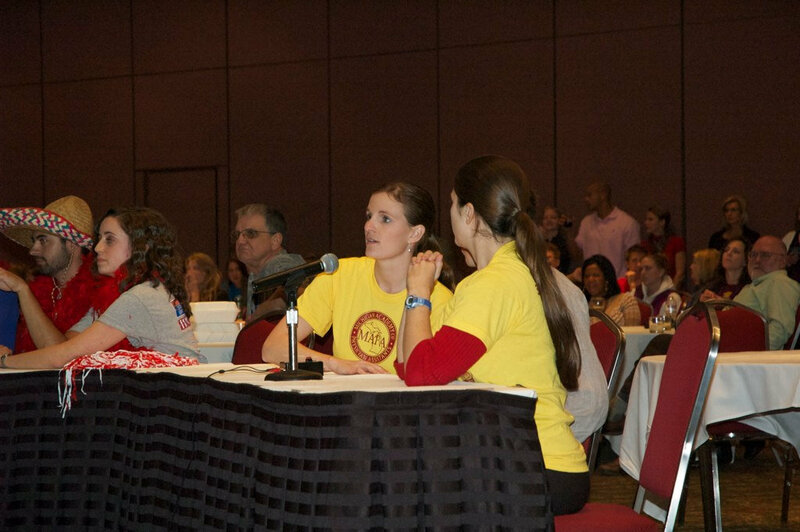 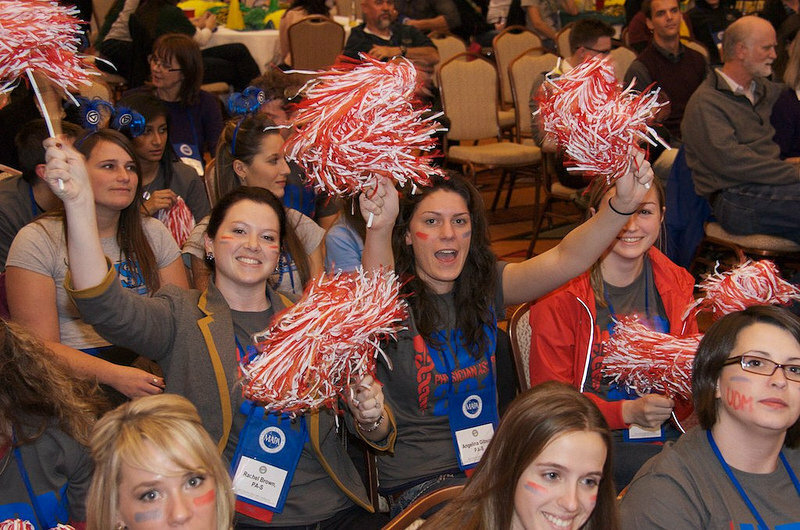 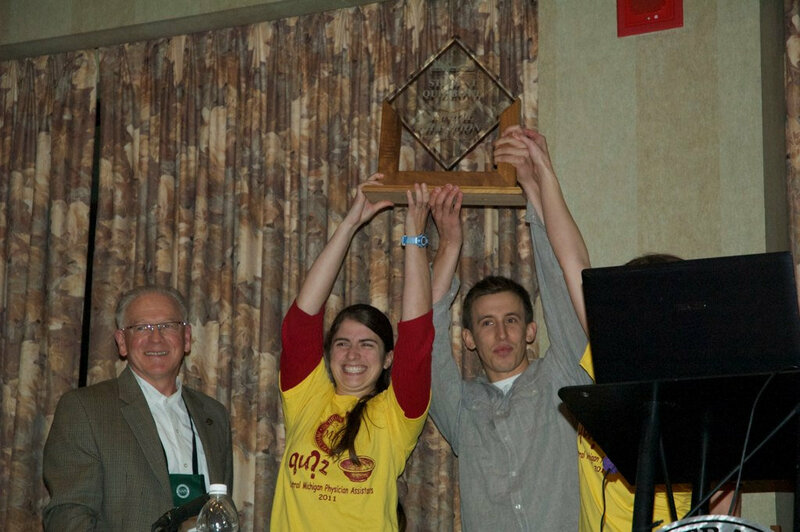 Every year at the MAPA conference, the Michigan Physician Assistant Foundation (MIPAF) hosts the Quiz Bowl games. 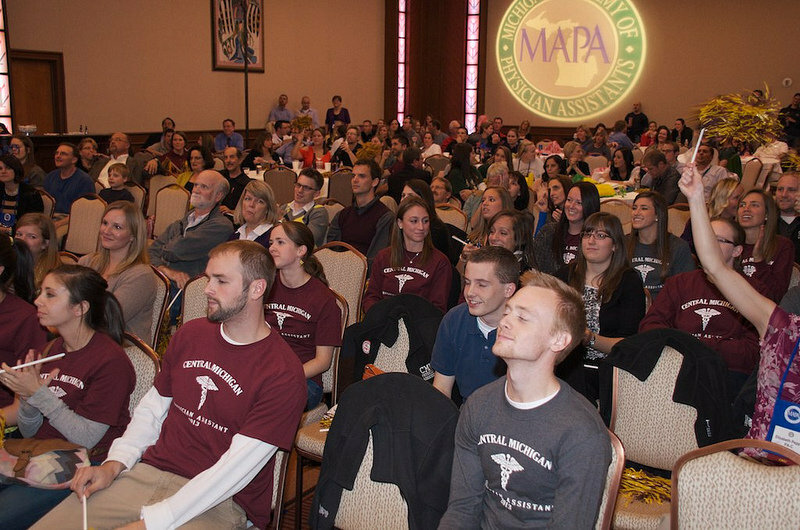 Here every PA program chooses representatives to answer medical questions for points. 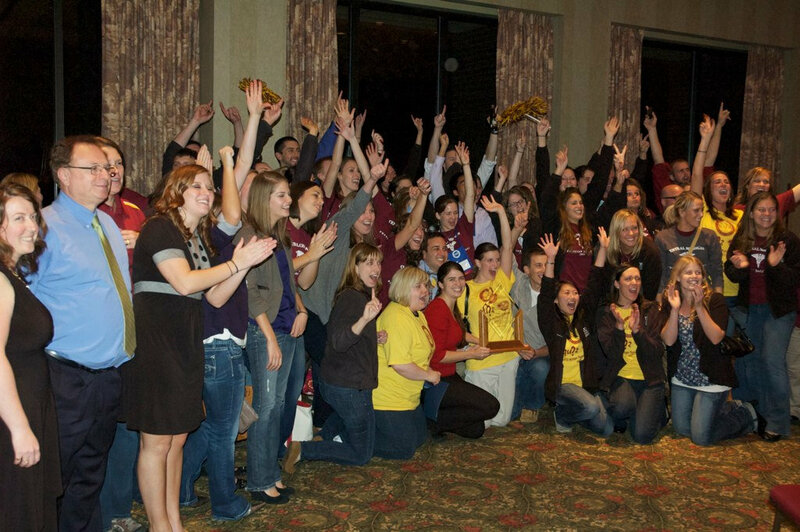 The winning school holds the title for the entire year. 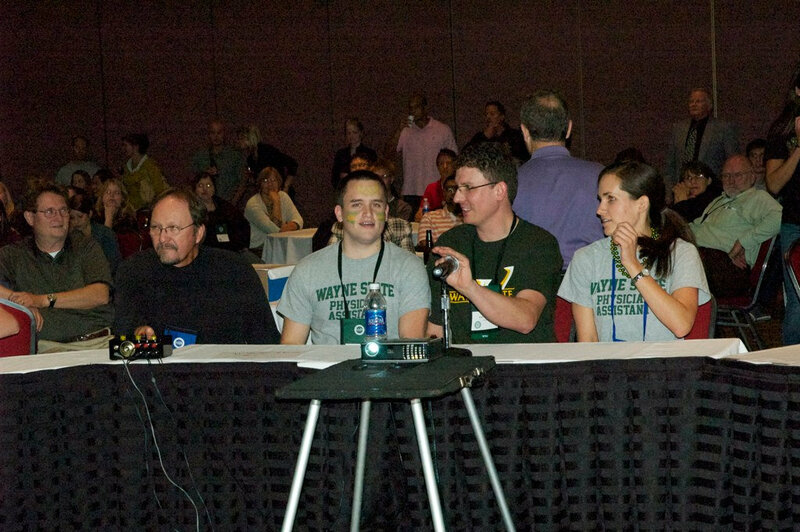 Quiz Bowl question on the overhead screen with the board delivering the questions.